There's nothing like an afternoon of closet cleaning, a gift from a very thoughtful customers, and a red headed "spirit child" to give you a little inspiration. So I'm bad at writing things down and in an effort to improve this problem (as a resolution of sorts) I'm going back...way back to a time when I wrote everything down. I was quite the journal-er back in the day. These journals have been living in the depths of my closet for years and years. They are "memoirs" of my youth complete with photos and random items from my day to day. 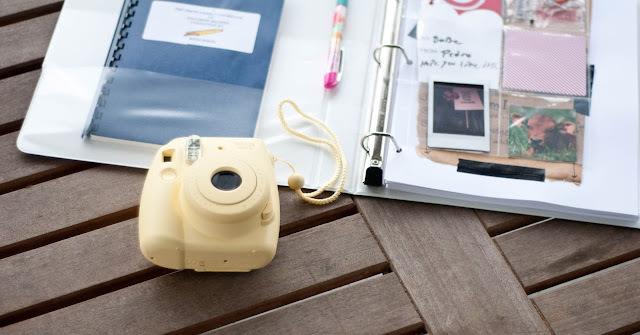 So armed with a binder, some paper, an adorable fuji Instax camera, some pens (obviously), and some sassy supplies from a A Beautiful Mess I am starting this little project. 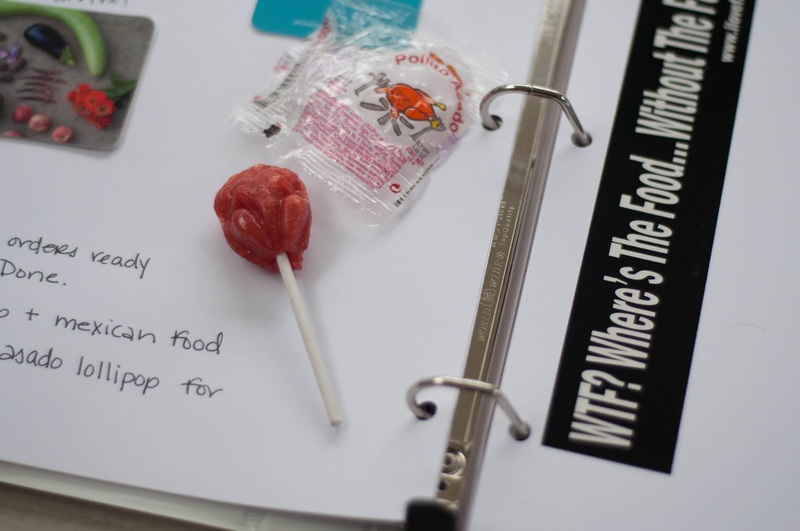 I'll be taking a photos of the pages in the notebook and posting them as I test recipes, make to do lists, record seedings, plantings, and havesting....and random-ness like the chicken shaped lollipop below which might I add, receiving it was the highlight of my day! pictured is the gift from a customer. 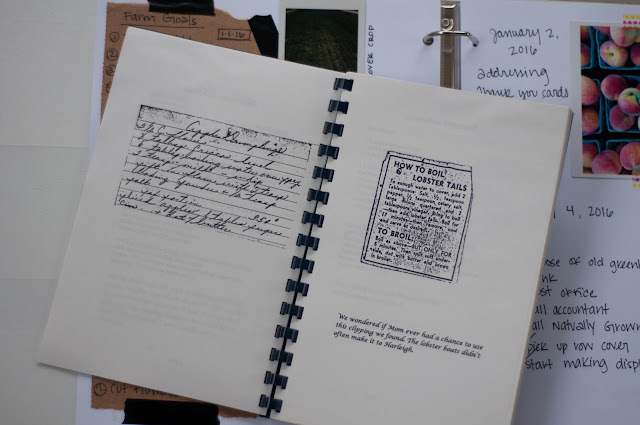 it is a book of family recipes that have been scanned, copied, or typed in. it is absolutely amazing! and this delight is a lollipop shaped like a chicken from a barber shop that was peach and pineapple flavored. I enjoyed it after taking these photos. i need more of them!